Ask any expat what they consider to be one of the most attractive things about Cambodia and they will almost certainly tell you about their low cost of living. It offers serious bang for buck. For starters, there’s a reasonable tax regime on imported goods, which those seeking creature comforts from the Western world will appreciate. It means costs are low for Australian meats, American ice cream, French wine and many other items that can be found aplenty in the supermarkets and minimarts in any areas with large expat populations. This also means that regular grocery shopping can be quite inexpensive and the bigger cities in Cambodia all have Western style shopping chains and malls that offer everything you could possibly need, from fresh produce to organic fruits and vegetables. 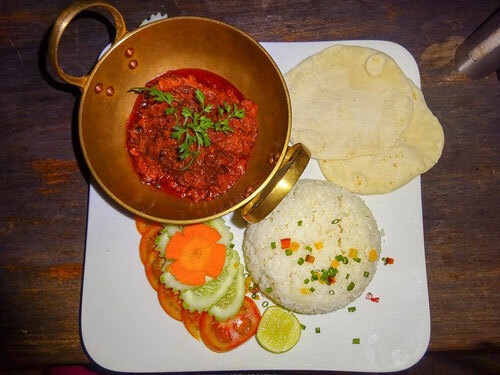 Fine dining at a fair price is something that is often taken for granted, especially in Phnom Penh and Siem Reap, where there are hundreds of restaurants of every nationality to choose from. Everything from French to Italian, American to British and all types of Asian cuisines (including, of course, Khmer) are on offer here from $6 per course upwards. The low cost of socialising is another element that makes expat life so attractive, with many bars and restaurants selling fresh draft beer under $1 for a glass. Spirits are also no exception to this low cost bonanza, making happy hour a must-do for any expats seeking a cocktail at sunset. Excellent European and Australian wines are also available. There’s also the more luxurious indulgences, such as getting your clothes made for you by one of the many tailor shops in the main cities and towns of Cambodia. Simply select from a range of fabrics, pick out the style of cut that you prefer and then one week later you get a new shirt and pair of trousers, tailored to your precise measurements, for as little as $40. It’s also possible to have one of the local shoemakers take a pair of your favourite dress shoes and make a near-perfect imitation of them for around $46. When it comes to rentals, the quality and range of what is available in cities like Phnom Penh can be jaw-dropping, with expensive penthouse apartments going for thousands of dollars a month. But for most people, the selection of Western style apartments and Khmer townhouses remains extremely affordable, starting at just a few hundred dollars a month. Utilities are even more affordable with electricity costing around $100 a month, Pay TV at just $6.50, water from $6.50 and the cost of having a cleaner come to your house each week setting you back $40 a month. It should be no surprise that mobile prices are also one of the lowest in the region, with packages starting at $1.30 a week including 10GB of 4G LTE internet plus unlimited free calls and SMS. Because of this most expats no longer bother having WiFi or fixed line internet installed in their homes as they use their mobile hotspot for high speed connections instead. The cost of international VOIP calls to Australia start from as low as one US cent per minute depending which package they select from their mobile operator. The following monthly budget is based on the cost of living for a couple living in the best neighbourhood in Phnom Penh with an active social life, regular trips to western supermarkets, unlimited internet and considerable use of air-conditioning. 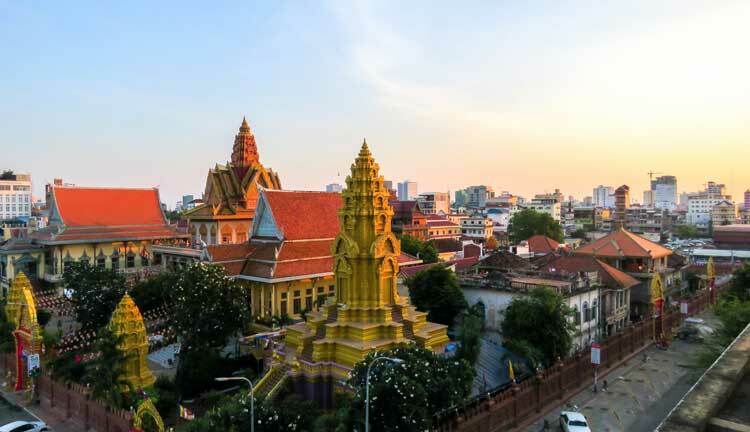 It’s another hot day in Battambang, Cambodia and what better spot to linger than at a downtown sidewalk bistro with a platter of cheese and a chilled glass of French wine… Cambodia’s second largest city moves at a slow and lazy pace. Maybe it’s the heat, but I get the sense that Battambang is like this every day of the year. People stroll down the sidewalk, taking time to stop and chat along the way. No one is in a hurry.